No Spam. No Obligations. Just a Free Customized Quote. It’s important that every homeowner understand the home alarm security basics. Being familiar with certain facts, as well as the capabilities of your system will allow you to provide the best protection for your property and your family. Why do we need security? Last year there were 9,320,971 property crimes were reported across the nation. Of this number of property crimes, about 24% were burglaries. 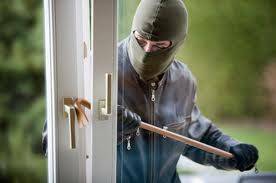 That means every year there are approximately 2.2 million burglaries in the U.S. That calculates to an average of someone’s house being robbed once every 14-15 seconds. Last year the average loss per break-in was $1,675. Are you protected? No one wants to be part of those statistics. The idea of a break-in is even scarier if we have family at home. More than anything, we want to keep them safe. The fact is doors, windows, computers, TV’s, etc can be replaced; but family cannot. Invaluable peace of mind comes from knowing no harm will come to the people we love or the possessions we worked hard for. If you knew for certain that someone was going to break into your house tonight you would not only get an alarm, but you would alert the authorities and you neighbors and family. Far too often victims of a home invasion only do this after they have been victimized, even though it is easier to prepare than to repair. So why do we need home security? Because break ins happen, and you are the other guy. Don’t wait until after the fact to do something that could prevent home invasions and give you peace of mind. A security system is built to detect trouble and sound an alarm. If the system is monitored – and it really should be, to keep you safe – there is also a team of people ready to react to the alarm and send immediate assistance. There are really only 4 simple steps to how the alarm works. 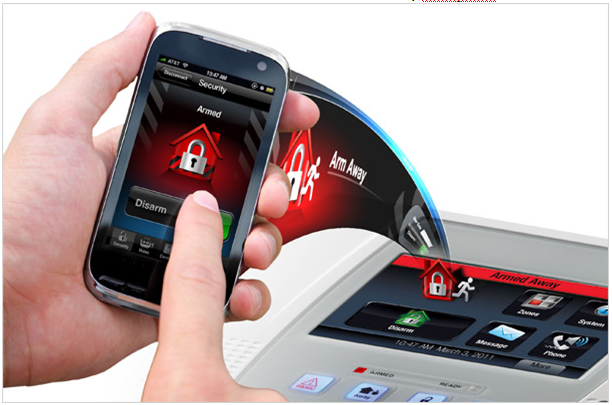 1- Activate your Security One monitoring system. 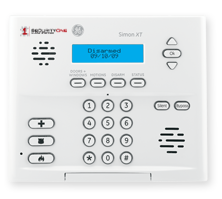 With the simple touch of a button on a user friendly control panel, the Security One Alarm system is ready to signal unwelcome activity in your home. 2- The alarm is sounded. If glass is broken, or a door has been opened, the alarm system automatically signals to the intruder that help is on the way. Knowing that he has been discovered, the intruder is likely to leave immediately. Simultaneously the system alerts Security One’s monitoring services that there is an emergency. 3- Security One monitoring team is notified the alarm’s been triggered. Our operators can drill down on which device was triggered, and where the issue is, which can be invaluable information, especially in an emergency situation. 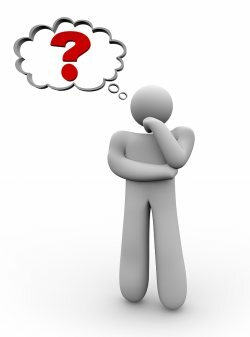 4- An operator contacts you and the proper authorities, be it firemen, police, or EMTs. Security One calls you to verify there is a genuine problem, and will subsequently make contact with the right authorities once the threat is known and understood. The elements of a home security system are 1) equipment 2) monitoring and, 3) with the best systems you also get advanced features that let you access the system controls remotely. 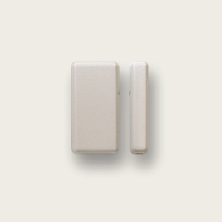 Sensors – these are small devices that may look something like a common smoke detector. 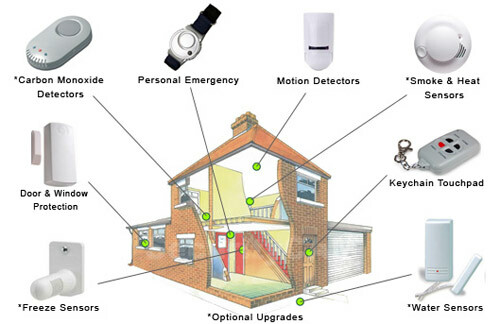 There are a wide range of security sensors, each designed to watch for a specific danger sign. A motion detector, for example, will trigger if someone moves in the room. A glass-break sensor triggers if a burglar breaks a window. Comprehensive home security systems include sensors to detect a variety of safety-related issues, such as doors opening, smoke, heat, water, freezing pipes or carbon monoxide. Controls – while sensors are simple devices, each with its own specific job, a home security control unit is sophisticated technology, capable of communication and customization. It is the central operations hub of the entire system. When a sensor triggers, the control unit receives the alert and then signals the monitoring center. If the control has advanced interactive features, it will also communicate with you, sending out a text or email alert. Video Security Cameras – Cameras are increasingly popular components in today’s home security systems. You can position them to watch the front door, guard a room with lots of ground-floor windows, or monitor the backyard or garage area. The cameras generate live streaming video, which you can view yourself, from anywhere, over the internet. 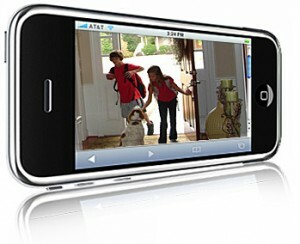 Many cameras can also capture brief video clips anytime they detect motion. In addition to the added security, many users find these cameras useful for watching over kids and pets. Monitoring is a critical component of a safe home security system. Without 24/7 monitoring, an alarm system is nothing more than a noise-maker – and certainly won’t do much to protect your home if you’re not there. 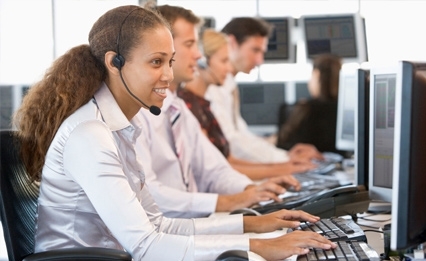 A team at the center works round-the-clock, ready to take action in the event that your alarm system signals an alert. Monitoring personnel first contact you, to confirm that the alert is real. (False alerts are common, in circumstances such as when a family member comes home after the system is already armed.) If the alert is real, the monitoring team dispatches the appropriate local authorities, such as the police or fire department or paramedics. Today’s best security alarm systems include advanced online and wireless technology that keeps you informed of security events at home, regardless of where you are. These interactive systems allow for two-way communication, so you can both receive alerts, and send commands or customize the system, from the road. With online access, you can connect with your system from a computer or mobile device. Traditionally, home security components were wired together, to enable the necessary communication between the sensors and the control unit. Today, wireless is a major trend in the home security market, because wireless alarm systems are easier to install and operate. They also provide better functionality and a higher degree of safety. Setting up wireless security equipment is so easy that most homeowners choose to do it themselves. There is no wiring or complicated connections. Users have the flexibility of setting up the system at their convenience, without having to arrange a professional technician’s visit. Wireless sensors can easily move from one location to another, and you can add new sensors to enhance your system at any time. Of course most users feel the biggest advantage is having no installation fee. Many wireless home security systems offer an option for cellular monitoring, and this is the feature that will increase your level of safety. 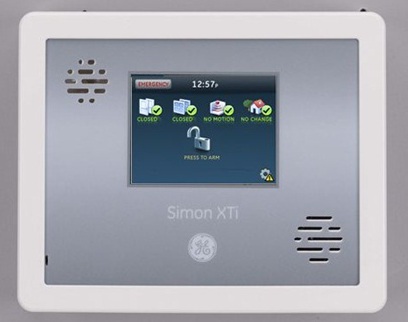 A cellular-based alarm system has a cellular signaling device built into the control unit. The system then uses a secure cellular network to communicate with the monitoring center, rather than using your home phone or internet lines. The cellular connection is much more reliable, because hard-wired lines are vulnerable to weather, power outages, and even burglars. Burglars learned to defeat wired security systems by cutting the phone lines. If you’re in the market for home security, you have many providers to choose from. Start by checking out the customer reviews and industry ratings, from consumer advocate resources such as Consumer Reports. The BBB (Better Business Bureau) is also an excellent source of unbiased information. Look for a security company that is accredited by the BBB. Also keep an eye out for home security companies that get negative reviews. If their current customers are unhappy with their service, chances are you could be, as well. The reviews will tell you which alarm systems have the best features – such as mobile apps and cellular monitoring. They’ll also mention with security companies provide the best customer service. Ultimately, you want to put the safety of your home and family in the hands of a company you can trust.